TechCrunch is going to the World Economic Forum in Switzerland to unpack how technology is affecting the world’s economies. We’ll be speaking to heads of states and captains of industry about what many refer to as the next industrial revolution. Indeed, WEF has themed this year’s event : “The 4th Industrial revolution”. You can register here to keep up to date with what TechCrunch will be doing there. We will have an incredible venue, the English Church of St. Luke (Freie Evangelische Gemeinde Davos, right here) located right by the conference centre, enabling us to grab interviews with a passing politicians or tech moguls. We’ll have a ‘TechCrunch Cafe’ inside (partnered with a startup out of Europe/SF, Tradeshift) and we’ll also be holding a reception for the tech community featuring ‘fireside’ interviews and discussions. That, and a daily programme of video interviews during the time we’re there. Got questions about TechCrunch at Davos? You can also use me as an initial point of contact on mike@beta.techcrunch.com. In the lead-up to WEF at Davos, we decided to pay a call on a couple of heads of government to find out what they make of the ‘Fourth Industrial Revolution’ of technology. The first is Andrej Kiska, President of Slovakia, who discusses, on camera, the impact of the technology revolution on his country. He’s also Slovakia’s first president since 1993 to have no links to its communist past, sending a message internationally that the country is going through a clear transition towards the global economy. Kiska is no stranger to technology. As a former electrical engineer and entrepreneur himself, he admits he never thought he’d see Slovakia produce the world’s first genuine flying car, the AeroMobil. But despite being a small country in Europe (population 5 million), increasingly entrepreneurs there are thinking globally, and Kiska has been advocating an innovative agenda since he came to power in 2014. Slovakia currently has a large part of its economy wrapped up in automate production, but the The knock-on effect of that could be positive in the technology startup world — certainly this week at CES has seen an enormous boom in the combination of cars and technology. While Kiska admits some of the country’s educational institutions still require work in how they produce technology entrepreneurs, he is optimistic that this can be addressed. Kiska is highly unusual in politics, having been a successful entrepreneur who gave the profits of his business away to charity and then running — successfully – for President. And he’s a President who happily turns up to the launch of startup co-working spaces in Bratislava, the capital. Slovakia faces the same security threats as any European nation at the moment, but Kiska believes there needs to be a compromise between the needs for state security and safety on the one hand, and the rights of citizens to privacy on the other. Bratislava, the Slovakian capital, has a young active startup scene amongst its mix of old and new architecture which line the Danube river. It also benefits from being an hour’s drive away from Vienna, which is a major European airport hub. It is also just an hour’s drive from three major European cities: Vienna (Austria), Budapest (Hungary), and Brno (Czech Republic). As a result the ‘ecosystem’ Bratislavia operates in is much larger than the city itself, or even the country. Thus the region boats both a cluster in security (3 out of top 5 global antivirus players) and cartech (Czech, Slovakia and Hungary are among the top producers of cars per capita globally). Global startups from the country include ESET (among the top 5 antivirus softwares globally with over $1bn valuation), Sygic (a major offline navigation player) and Pixel Federation (among the Top 20 Facebook games globally). 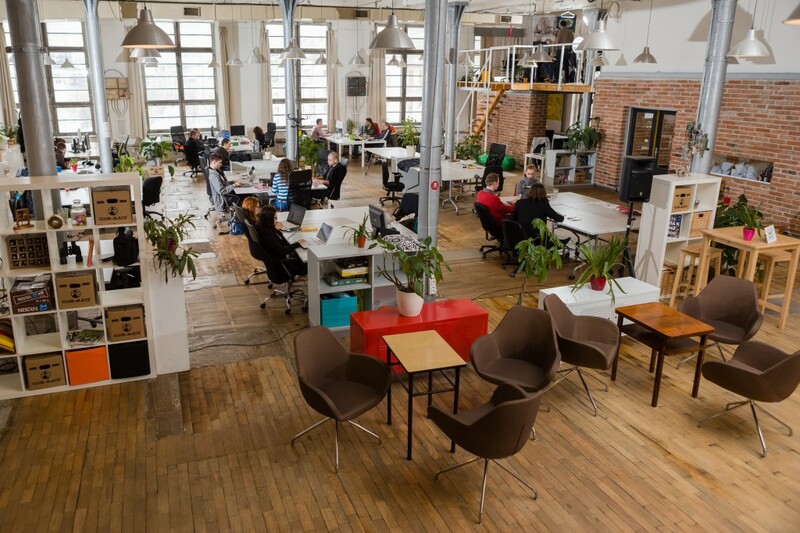 Coworking spaces and incubators include RubixLab, The Spot, Impact Hub, HUB Bratislava, Clusterhaus and Connect Coworking, all of whom run regular events. The Spot is located in the city center while Connect Coworking is in the old textile factory, that is also the home of the creative industry. The biggest events include Startup Camp, Pioneers Bratislava and the annual StartUp Awards which is even broadcast on national TV (and which last year featured your’s truly). Local investors include CEED Tech, a consortium of five startup accelerators, operating in Central and Eastern Europe; and LAUNCHER, a startup studio focused on seed and early stage investments and startups in Central Europe. Angel Investors include 42angels, a platform, which gathers experienced Czech and Slovak entrepreneurs; Neulogy Ventures, the first Slovakia-based management company to run fully regulated seed and venture capital funds; Speed Invest; and Credo Ventures among others. Public-private initiatives include SAPIE (the Slovak Alliance for Internet Economy) which has over 20 members ranging from multinational players like Google and Facebook to Eset, Neulogy, Websupport and Martinus. Recent deals in the country include the 2013 GoDaddy acquisition of Czech-Slovak startup m.dot, a mobile website-builder app, for over $15 million, plus the 2014 acquisition by Zomato of local restaurant-aggregators Obedovat.sk and LunchTime.cz. Admittedly it’s still early say for Slovakia’s startup scene but with a President like Kiska, the future looks bright.